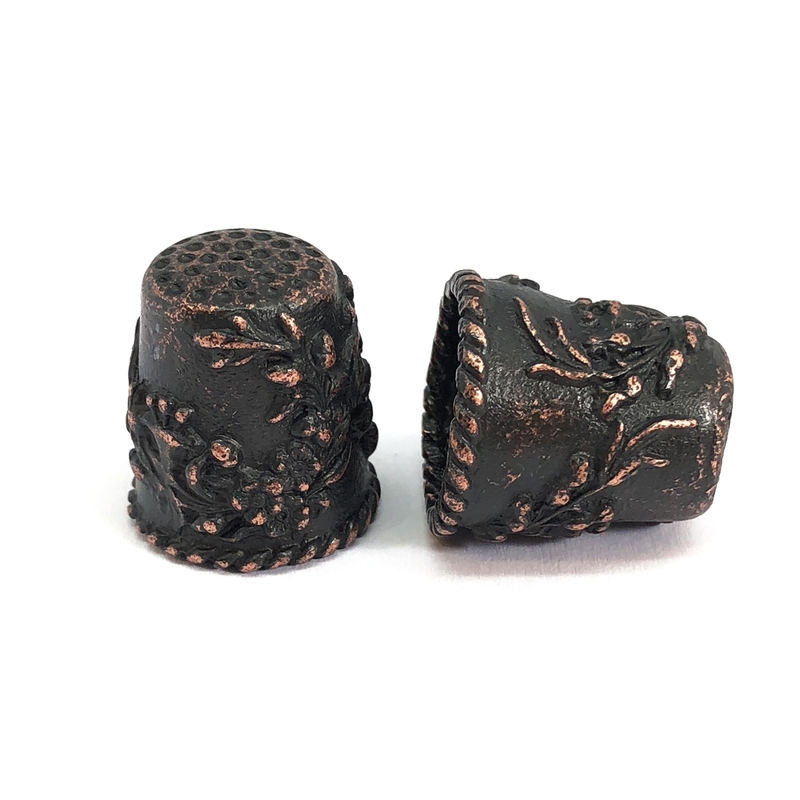 Large floral thimble, rusted iron pewter, sewing thimble, floral rope design, vintage style, pewter castings, B'sue by 1928. Nicely finished thimble, can be perfect to make a tassel. This thimble has a hole on the top. Measuring 24 x 22mm. Multiple uses, earrings, necklaces, and sewing. Old Silver pewter is a specialty artisan finish unique to this line. This has beautiful antique black lacquer, perfect for showing detail. It may be distressed, and the color deepened with paints to make it appear older.